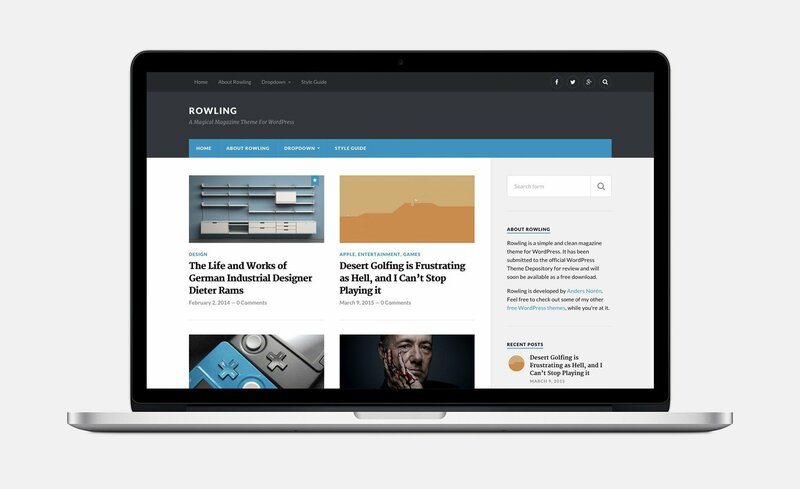 Last week, users at WordPress.com got access to another one of my WordPress themes: Rowling. The WordPress.com version seems to retain all of the features of the self-hosted version available on WordPress.org, and it adds four color schemes to choose from: teal and bright red, tan and bordeaux red, orange and dusk grey, and mint green and charcoal. Cool stuff. You can read more about it on the WordPress.com blog. In theme related news, I actually submitted a new theme to WordPress.org last week as well – my first since Hitchcock last summer. The theme is called Davis, and it’s a bit different then its siblings. 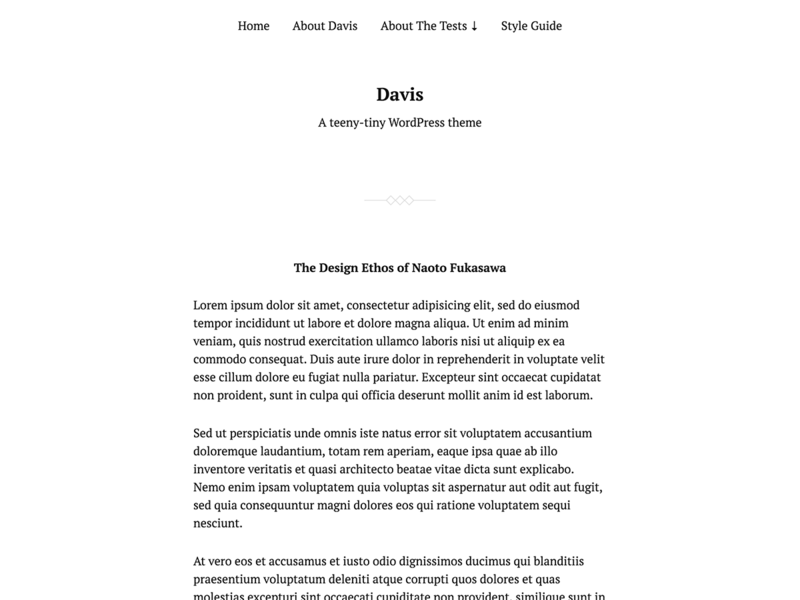 Davis is an effort on my part to try to create a theme that is as small as possible; both in terms of lines of code and in terms of page weight (although the two tend to go hand in hand). I don’t have an online demo server up for it yet, but you can see its screenshot.png below. Yeah, it’s very lightweight. It contains three php files – index.php, functions.php and comments.php – and the theme folder weighs in at just 27 kb, excluding the screenshot. It features the aside post format, featured images and – of course – a responsive design. It can be used as a starter theme, an example of a basic WordPress theme for budding theme developers or as a very simple blogging theme. Mostly, it was just fun little thing to build. It’ll probably be a couple of months before it makes its way through the theme review process, but if you feel daring, you can download the as-of-yet unapproved version via the Trac ticket.